25th anniversary celebrations at Somerset House with Chris Martin. 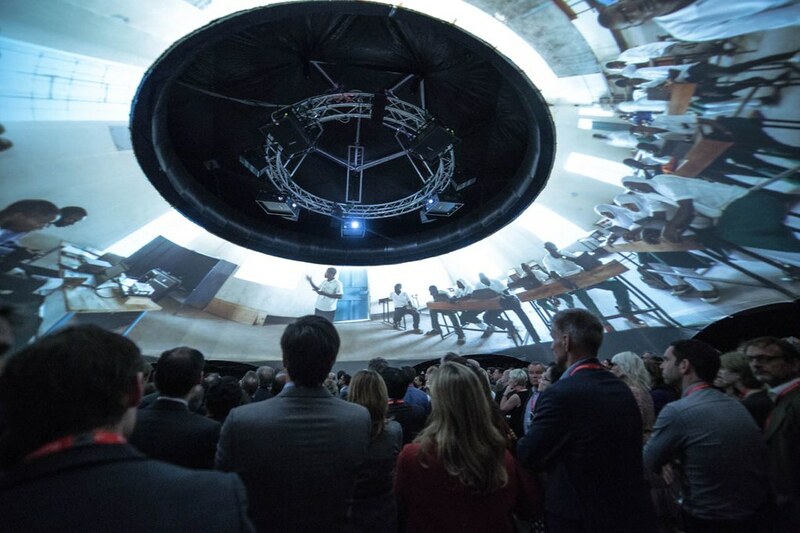 To celebrate 25 years of charitable giving, the Vodafone Foundation chose a 21-metre Igloo to host a compelling, immersive event. Over 500 special guests joined the celebrations in the magnificent Georgian courtyard at Somerset House, London. VR content specialists Visualise produced 30 minutes of attention-grabbing 360° animations and video to communicate the Foundation’s stories and messages in a powerful and inspiring way. Additional highlights included a live Skype call with Coldplay’s Chris Martin, as well as special video messages from film director Richard Curtis, and Nobel Prize laureate Malala Yousafzai.